The University announced Wednesday that it rescinded its invitation to Ramy Jan, co-founder of Egypt’s Nazi Party, to speak at a December conference sponsored by the Prince Alwaleed Bin Talal Center for Muslim-Christian Understanding. Christine Kidwell, Associate Director of the Center, confirmed that the conference, entitled “Egypt and the Struggle for Democracy,” has been postponed. Jan was initially listed on the conference roster as a member of Christian, anti-coup movement called “Christians Against the Coup.” The founder of this small group, Jan affirms that despite certain beliefs, many Christians in Egypt did not support the military overthrow of former Islamist president, Mohamed Morsi. After the ACMCU was alerted by Eric Trager, an analyst at the Washington Institute for Near East Policy, about Jan’s other qualifications in a spasm of very angry tweets, the speaker was promptly removed from the conference list. Kidwell made it clear in an email to Vox that Jan’s invitation had been rescinded. “He is no longer invited to speak at Georgetown and we are amending our conference speakers and schedule,” she wrote. Since the discovery of Jan’s background, the ACMCU has faced a great deal of criticism. Trager speculated in his tweets that the “disgusting” center was had invited Jan, “the token Christian [speaker],” for the purpose of creating a one-sided discussion on Morsi’s overthrow in July. 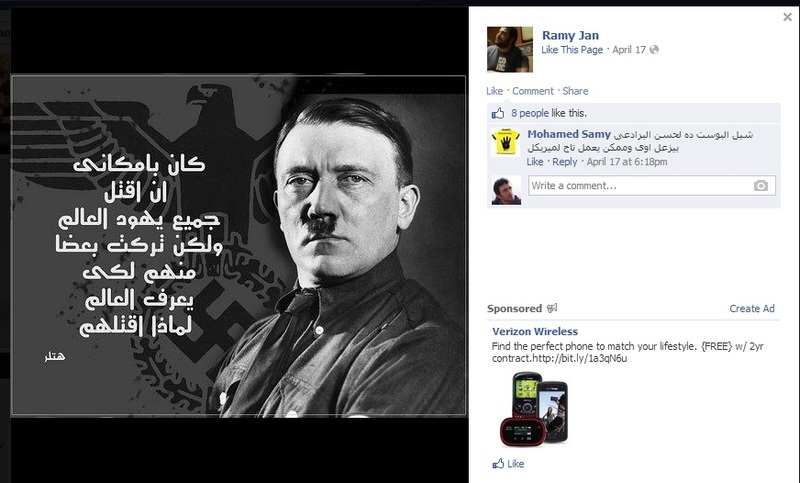 Egypt’s Nazi Party members have taken advantage of several opportunities to express their views. In a September 2011 interview on Dream One, an Egyptian television show, Jan and other members of the party can be seen making several politically conservative sentiments. One member, Amr Fouad, explained that the party wants to restore the Egyptian “supremacy over the world.” Jan has also expressed sentiments of radical nationalism and desires for Egyptian supremacy. The ACMCU posted a notice on its site: “Due to lengthy delays with our Egyptian participants getting visas, the Dec. 5 Conference has been postponed to Jan 30, 2014, to enable their participation.” The notice has since been removed.